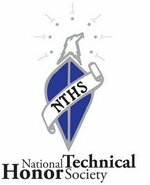 Welcome to the NTHS Home Page! Classes taken per Academy: NTHS is ONLY open to seniors enrolled in an internship class (Engineering or Medical Academy), for the 2015-2016 school year. Community Service Hours Required: Service hours to be completed through internship and during fall and spring mentor gift drives. Meetings: Morning meetings 1-2 times monthly. NTHS has the right to refuse membership to any student not in good standing with the Academy and the Academy Instructors, regardless of requirements met. An honor society open to the Engineering and Medical Academy Internship-Level Students of Bob Jones High School.